Sara Lynn Sullivan (11) is closely guarded by a Castilleja defender. The Eagles host their senior night on Jan. 29 against Mercy Burlingame. 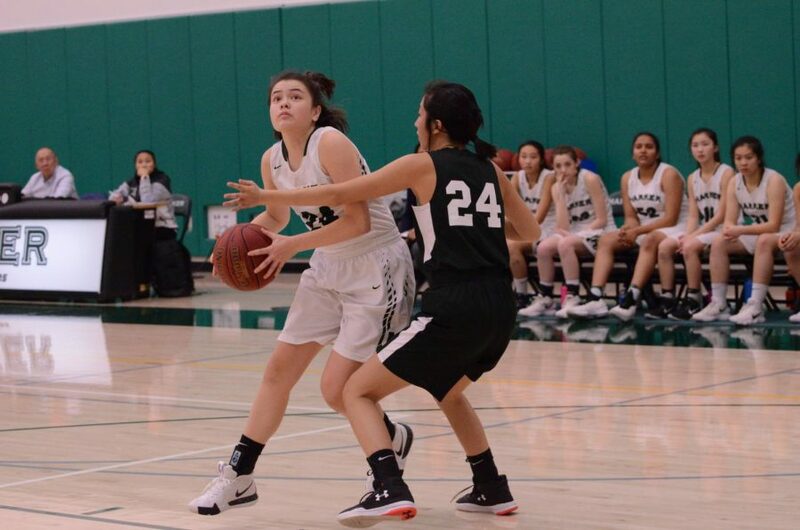 The varsity girls basketball team lost against the Castilleja Gators 33-51 on Thursday, Jan. 24, bringing their overall record to 10-7 and their league record to 1-4. After falling to 5-16 at the end of the first quarter, the girls were unable to overcome Castilleja’s 11-point lead. 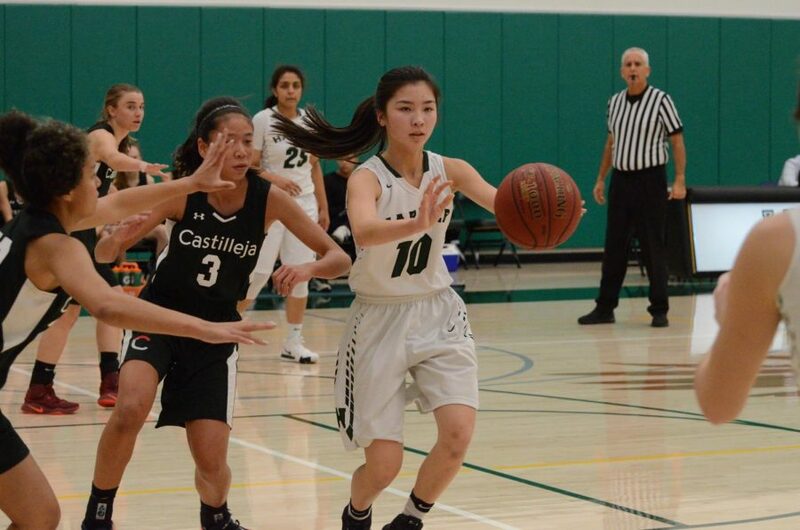 The girls celebrate their senior night at their next game, which will be against Mercy High School-Burlingame (11-7) on Jan. 29 at 6:30 p.m.
Cindy Su (9) passes to an open teammate. The girls lost 33-51.